Pupils declare Stephen Perse Foundation's new eco classroom officially open! A brand new eco-classform for the Stephen Perse Foundation, designed to "keep the magic" of playing and learning outside, has now been officially opened near the Foundation's nature reserve on Latham Road. Pupils at the Stephen Perse Foundation’s Pre-Prep and Junior Schools regularly take a stroll to Latham Road to visit our Nature Reserve and Forest School where you can often find them searching for bugs, cooking up a feast in the mud kitchen or finding the best wood to make a bow and arrow. Their adventures are set to get even more interesting with the eco-classroom’s inside space which will provide a setting for their Forest School studies – having the ability to search the web for the species of insect they have found or recording their days for a project. Having the space will also support creative outdoor play, allotment gardening, survival games, den building, map reading and lots of outdoor adventures in between. Pupils from the Stephen Perse Foundation Pre-Prep and Junior Schools, as well as Principal Tricia Kelleher and Bursar Jenny Neild, cut the ribbon and declared the classroom open this morning. Tricia Kelleher, Principal of the Stephen Perse Foundation, said: “Outdoor learning spaces offer another dimension for learning which are far removed from the digital world. Here our pupils enjoy challenges whether through Forest School activities or an Exploration Society. “The interaction with the real world is important as a counter balance to the white noise which is ever present in the lives of children and indeed, arguably, outdoor learning is the grounding pupils need. The classroom has been designed to maximise individual light, with large windows and doors to bring the outside in and therefore creating a pleasant learning environment for pupils. 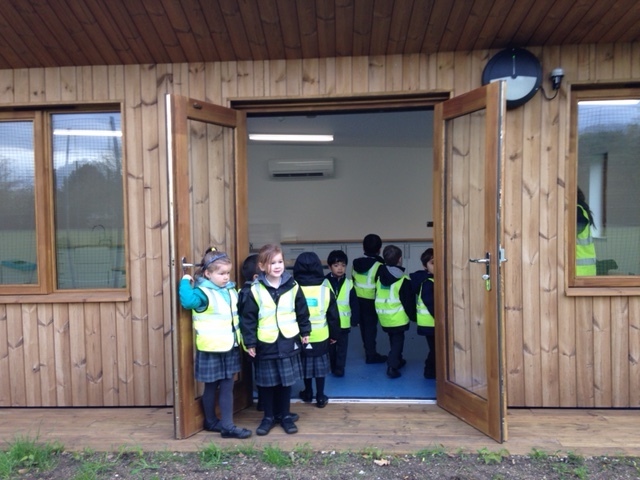 Alice Heywood, Head of the Pre-Prep, said: “We have a short walk from our city Pre-Prep to the Forest School and having this eco-classroom space will give us a way of ‘top and tailing’ play sessions – planning activities, gathering in groups to review progress, sharing successes and more. Katie Milne, Head of the Junior School, said: “Having the eco-classroom will open up our current Outdoor Learning sessions – having the chance to reflect on site will remind children how their thinking skills and learning habits contribute towards their personal and social development, enabling them to make meaningful connections between playing and what they learn in school and out of doors.